Lt. 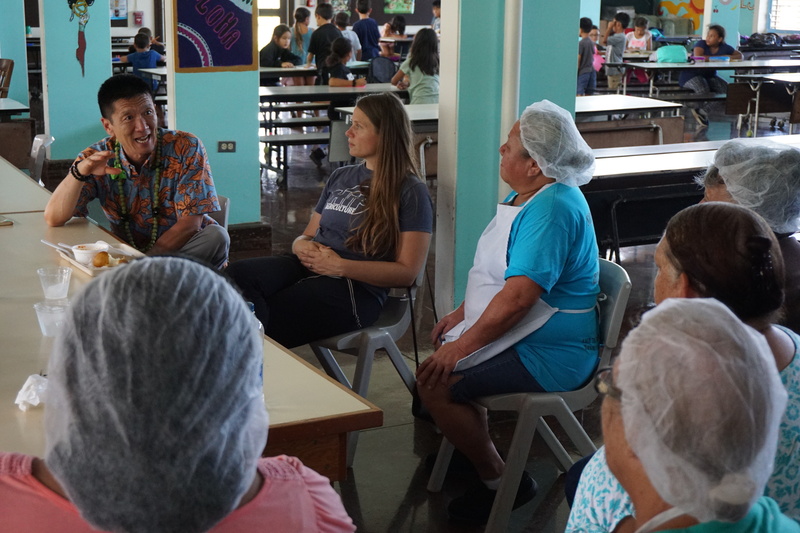 Governor Chin had a wonderful time recently on the Big Island where he visited with school administrators, cafeteria staff and food producers involved with the ‘Aina Pono Hawaii State Farm to School Program. 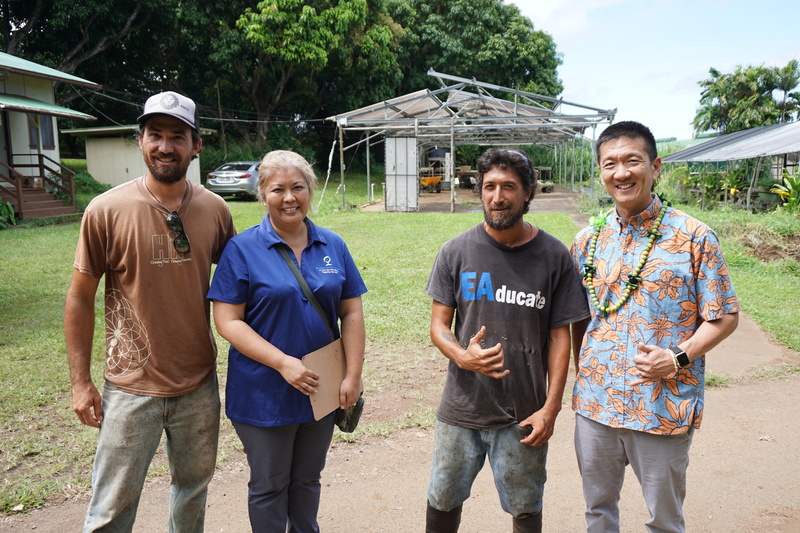 He met with Kohala Elementary Principal Danny Garcia, in the yellow shirt, and his staff at their school garden. 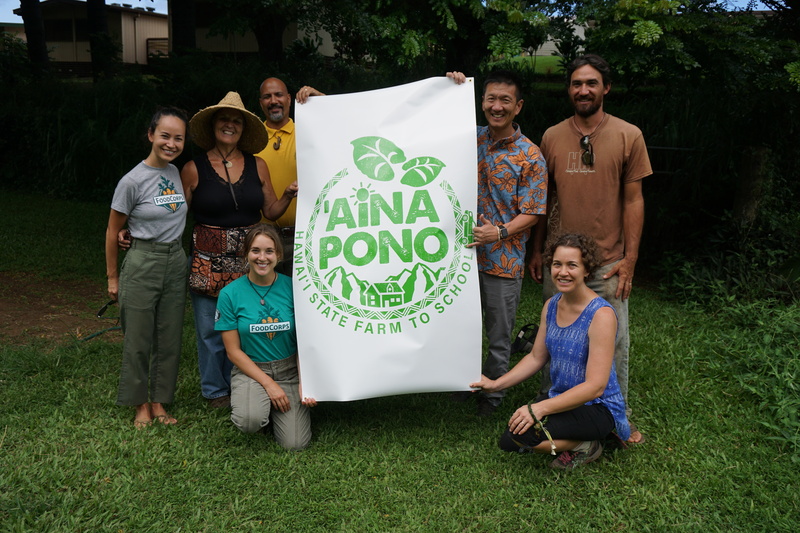 He presented them with the ‘Aina Pono Certificate of Excellence to Kohala Elementary for being the pilot site then posed with the group and the ‘Aina Pono banner. 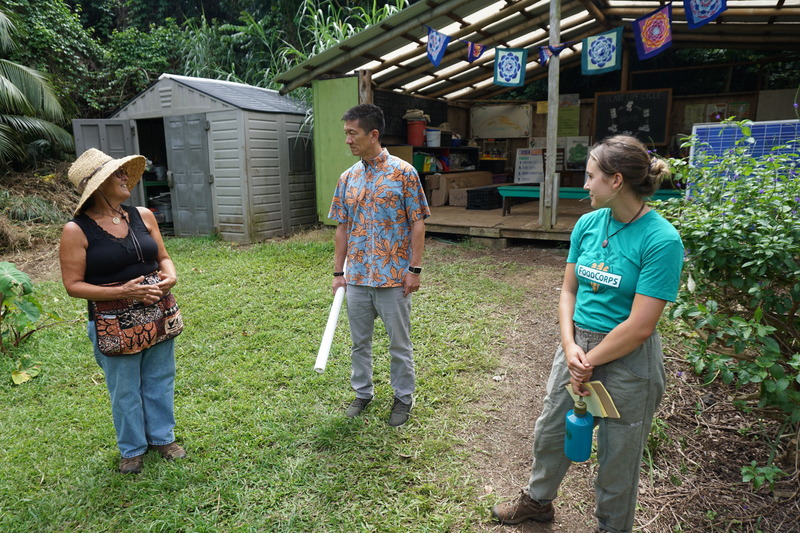 He also visited the Kohala High School farm with Kohala High Vice Principal Trisha Burns and Dash Kur and Sarah Freeman of Hawaii Institute of Pacific Agriculture, and planted a sour sap tree. Lt. 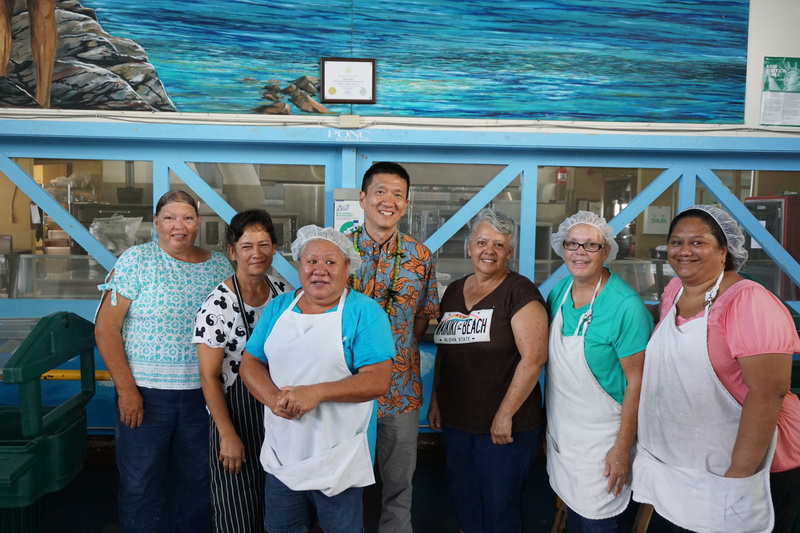 Governor Chin talked story with Kohala Complex Area Cafeteria Manager Priscilla Galan and her staff. He also thanked and praised them for taking on the challenge of being the first DOE farm to school site. 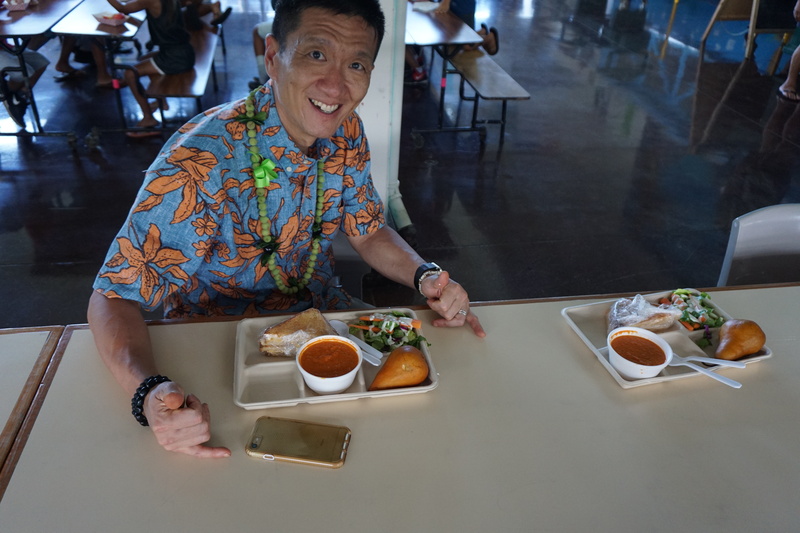 He got to see Jean Pang, Kohala Complex Area School Cook, prepare Sweet Sour Pork in the kitchen then enjoyed a wonderful lunch of scratch-made tomato soup, green salad and grilled cheese sandwich. While on the Big Island, Lt. 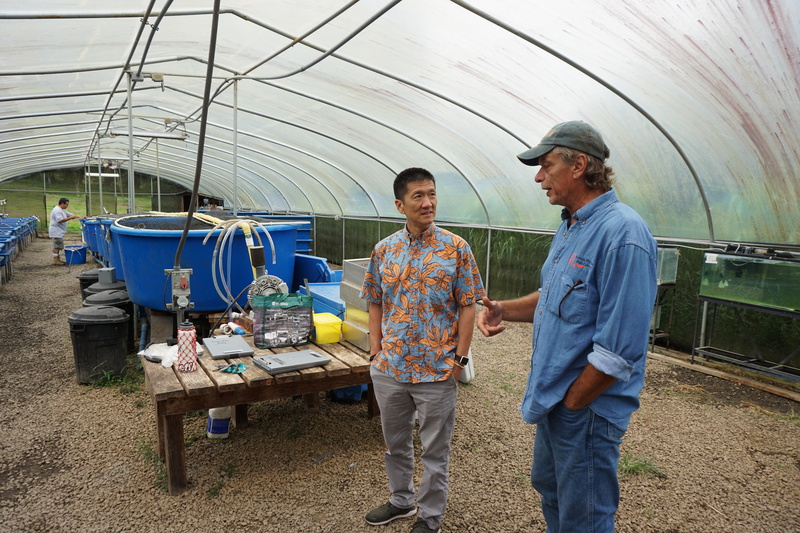 Governor Chin also visited with Dana Shapiro, manager of the Hawaii Ulu Producers Cooperative (HUPC), and learned a lot about breadfruit. Ulu is one of Hawaii’s original food crops that has been a local staple for nearly a thousand years. It’s incredibly versatile and it can be prepared in a wide variety of delicious ways. Ulu is low in fat, low glycemic, non-GMO, and gluten-free. It’s an excellent source of fiber. He tried ulu hummus with garden fresh vegetables, ulu chocolate mousse, frozen bananas, frozen papaya, then he watched the HUPC staff in the ulu production kitchen and even planted a ulu tree. 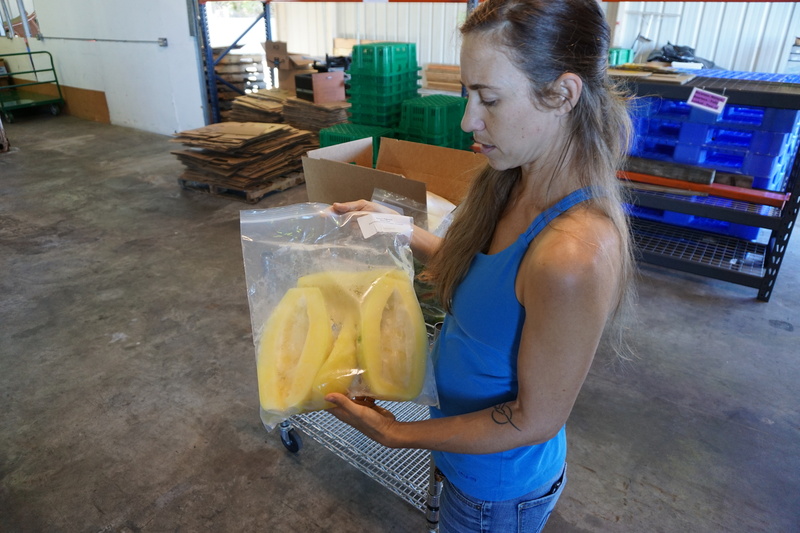 Like the Hawaii State Department of Education, the HUPC received a USDA Farm to School grant, and will be collaborating with school food service directors, chef instructors at local colleges, farm to school consultants, and local food producers to develop new recipes using breadfruit. They will create additional supporting resources as part of an “ulu-to-school toolkit” to distribute across the state. 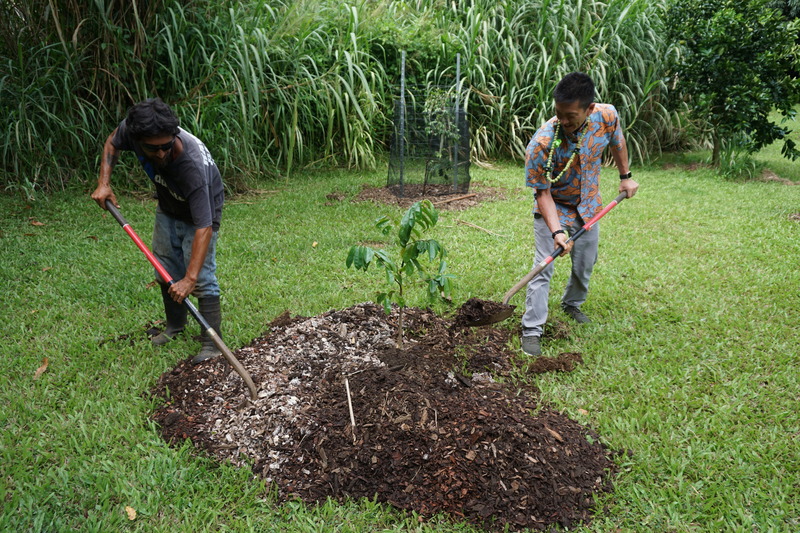 The HUPC also plans to expand its integrated educational programs by working with the Kona Pacific Public Charter School to restructure current lesson plans and link in-school curriculum with agriculture-based learning opportunities. The goal of the project is to enhance food security, sustainability and enrichment in schools by incorporating more breadfruit. Lt. 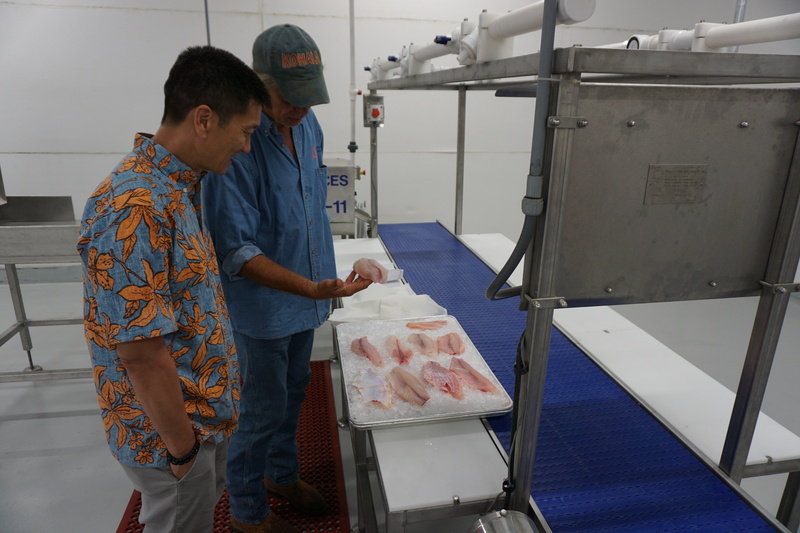 Governor Chin also visited the Kohala Mountain Fish Company (KMFC), where Bob Enderson and John Oliva produce tilapia year around at its farming and processing facility. KMFC utilizes two mountain springs in all stages of tilapia growth. Approximately 1.38 billion gallons of water per day is captured in aquifers 8,000 to 12,000 feet below the surface. With very little human interference or mechanical processing, this water is certified to be naturally free of heavy metal, chemical or excessive mineral content. Its processing facility is on site and can provide both fresh and frozen processing. 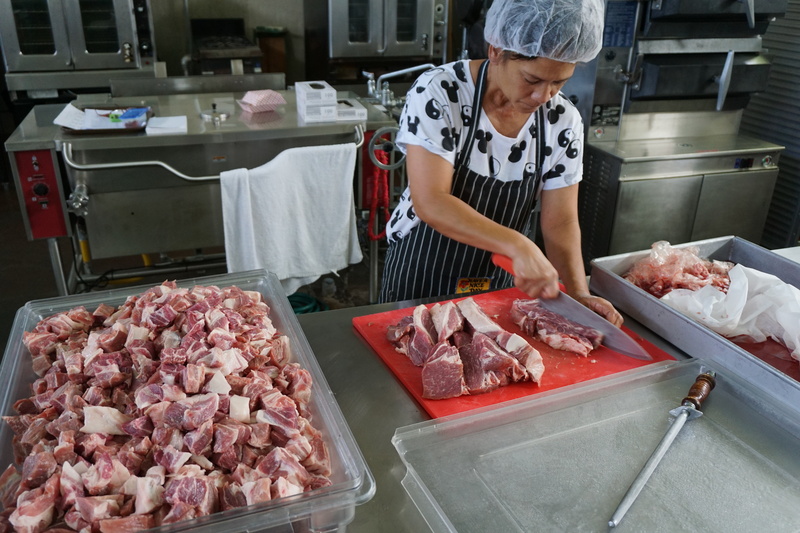 The Hawaii State Department of Education plans to test feature the KMFC fish as the ‘Aina Pono Hawaii State Farm to School Program develops its new scratch-cooked menus.